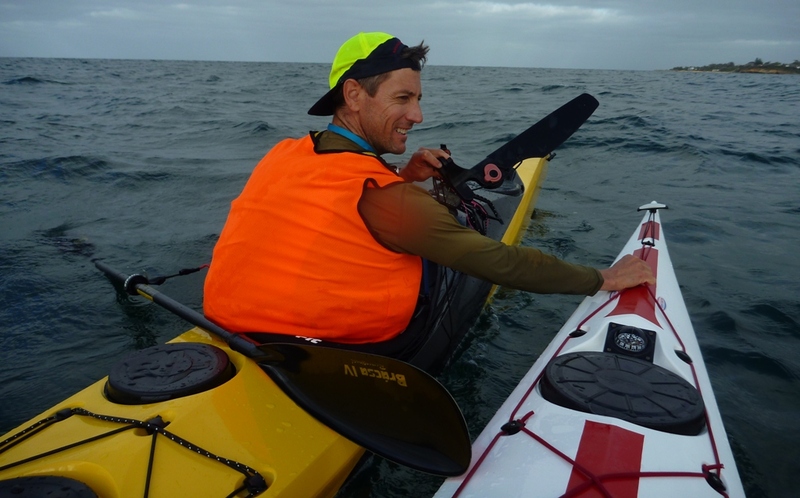 Many sea kayakers would argue that you don’t need a rudder at all – so we weren’t too worried when G-Man’s rudder broke off his Point 65N XP18 only 2km out of Mentone this morning. Conditions were good and he has a skeg as well so we removed the dangling rudder and completed our 30km session with no problems. While G-Man’s hi-vis vest makes him easy to see – he looks like a sumo wrestler with his PFD and Camelback underneath. We finished the trip with a short rolling session. Join Bretto and share his thoughts on life and the Australian outdoors. Bretto's interests include sea kayaking, snow camping, bushwalking, bacon, camping, four wheel driving, hammocking, taking photos and spending time with his awesome family. This website will feature trip reports, gear reviews, cooking tips and advice for the arm-chair adventurer. So check back soon to see what's been happening in the World of Bretto.